one of our most popular services that people can book at any time. 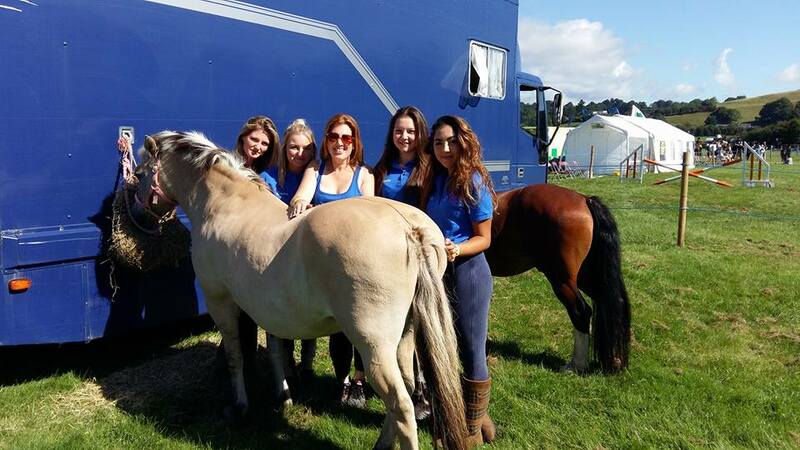 Why not invite our ponies along to your event? Perfect for corporate events, family fun days, school fetes, village fairs, festivals and county shows. A party with a real difference; One not easily forgotten that will be talked about all year round by both children and parents! Making dreams a reality and leaving magical memories. Each party is individually tailored to your child’s age, gender, ability and likes. A party with a real difference; One not easily forgotten that will be talked about all year round by both children and parents! Making dreams a reality and leaving magical memories. Each party is individually tailored to your child’s age, gender, ability and likes. During your party your guests will have a chance to groom, pamper and decorate the Ponies, with bows, coloured hair clips and glitter their hooves. Each child will be able to enjoy a ride in a small groups around our fields, rotating the children around so they can all have a go at everything but not left waiting around. Unique, tailor made party packages to suit your child’s needs taking into consideration their age, ability, gender and experience of pony’s. We can host your party on our beautiful grounds surrounded by lush countryside. We also hold parties at Cob House, Martley, where there are additional attractions, and also at Worcester Woods Country Park. If your own garden is suitable, we can bring the ponies to your party. If not, you can come to us at pampered ponies. Our parties can be held anywhere as long as the setting is suitable and we have the necessary permission. If the party is held at our Pampered Ponies Stables. Prices shown below are for a standard party, to include riding, grooming, decorate and glitter, potentially games in the longer package. Then we have our special extras you can add in so that you can build your own package to suit your budget, just pick and choose what you would like to add. The more time you choose the more the children get to do! Each party includes 30 mins for your food and cake. Number of children is limited when coming to our venue, you can add extra children in each party if you wish at an extra £10pp. These can be held in your garden if you have enough space or at one of our recommended party venues. One of our team will pop out and risk assess and help you decide if the area is suitable, access and parking. We discuss the requirements of our ponies and how you would like us to run the party. We pre visit to ensure maximum health and safety and to ensure that everything runs smoothly on the special day. If the party is held at The Cob House or Worcester Wood Country Park or at your Home. Prices shown below are standard party prices, then again pick and choose any extras to build your own package. We can run the party in 2 ways when we come off site. We recommend the mentioned number of children if we are to take the children as our responsibility and run as a normally party, or you can just hire us for this amount of time and have as many children as you wish, making sure you filter them out to us so as not to overwhelm the ponies and we will just continuously offer pony rides. Add that extra special something to make the party even more memorable. Keep the magic alive, whether you believe or not our unicorns look amazing whatever your age! A very popular addition to any birthday party. 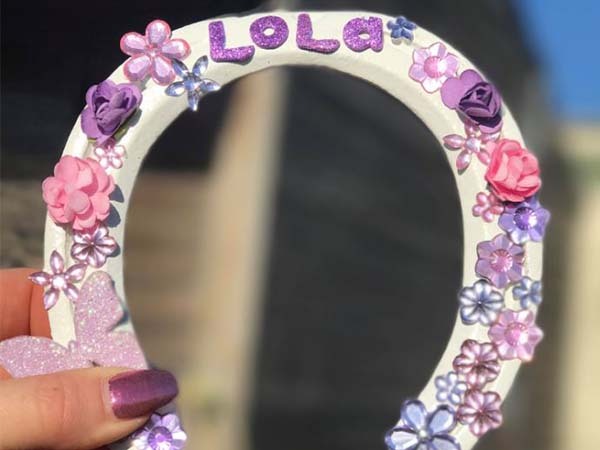 Your child will be given a painted black or white horse shoe to create and design their own masterpiece keepsake with stick on gems, letters, bows, buttons and finished off with a piece of ribbon to hang it up nicely and remember the special day. Free of charge to the birthday boy or girl if purchased for your party. A lovely keep sake for the children to take home to remember the special day. These are personalised to the birthday boy or girl, just choose your colours! We can provide a Kids friendly lunch box that you can eat on site, made by our local farm shop. Lunchboxes include a sandwich choice of fillings are Ham, Cheese, Tuna, Egg, Jam. A sausage roll, crisps, cherry tomatoes and grapes. You are also welcome to bring your own picnic at no additional charge. What happens at a pony party? Once your group has arrived the children will be gathered together for a brief safety talk on how to behave around our ponies and on the yard. Then we will go and meet our grooming ponies, these are generally our minature shetlands who love lots of fuss and pampering. We will have a selection of brushes for your guests to have a go at brushing our ponies. 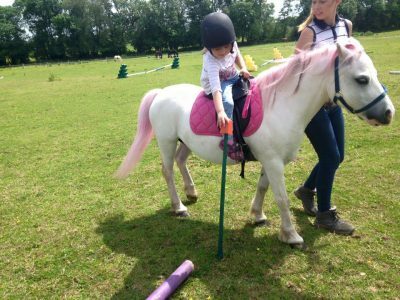 This is the perfect activity for any nervous children to get their confidence and trust around the ponies, before riding. Nervous or not, children love the opportunity to get stuck in and give our ponies lots of love. The birthday girl/boy will be asked if they prefer to ride or groom first, generally the answer is always ride. 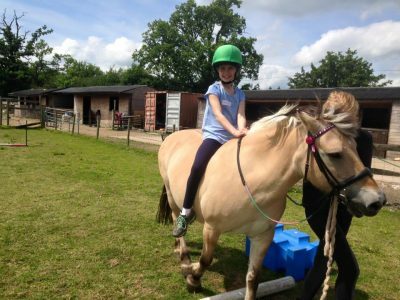 Depending on the size of your party we will then take 2 /3 for a decent pony ride around our fields, and rotate the children so that every child that would like to has had a pony ride. Each pony is lead by an experienced handler. The children are lead at all times, and support can be offered also for any unbalanced children. We pride ourselves in having an excellent, encouraging team to make sure they feel safe and secure at all times. Ensuring any nervous children come back with big smiles once they realise what a great experience it is. 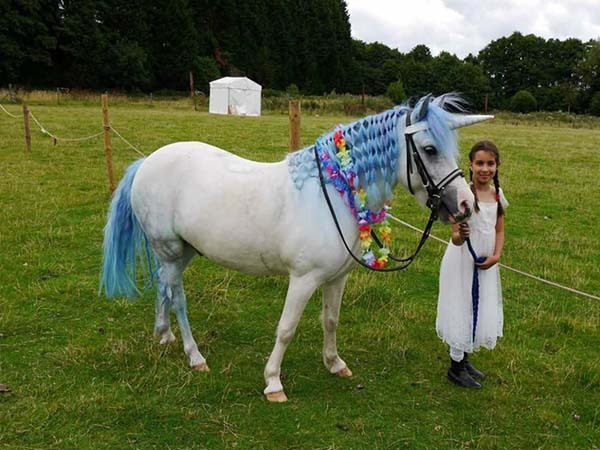 If you have added in a “unicorn” the special guest will be introduced after the grooming ponies and the children will have an opportunity to “come say Hi” and have a photo with a real unicorn. This is a massive hit and whether they “believe” or not the pony looks amazing! Then come out our fun decorations for our grooming ponies! We have Bows, Coloured hairpieces, hair clips and plaiting bands for the children to decorate their mains and tails. The highlight of the party is usually the GLITTER!! We paint the ponies hooves with hoof oil, which is great for keeping their hooves nice and healthy. The glitter is then sprinkled over the ponies hoof and sticks to the oil to give them sparkly magical toes. Definitely a favourite with the children. There is normally where it ends ….Unless you have gone for our longer package which includes Games in the field!! A huge hit and will make memories for many years to come! Usually done in 2 teams. Some games we play on the ponies, some games are on foot. 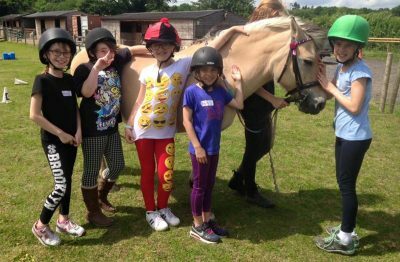 We have that many and as your party progresses we assess the children’s confidence and suitability and cater the games to suit the group. If you have added horseshoe craft this will be done in the last 15/20 mins of your party. We hide the horseshoes in our games paddock for the children to find. Lots of space to run around and be free if they need to burn of some steam or warm up if its been a chilly. We will then head into our party room to decorate them. We have many stick on letters, gems, bows, flowers, stickers, and glitter glue. These make lovely keepsakes for their bedrooms and are REAL horseshoes that come in all shapes and sizes. Although don’t worry they have been cleaned up and painted black or white in advance so all the children need to do is create their masterpiece! 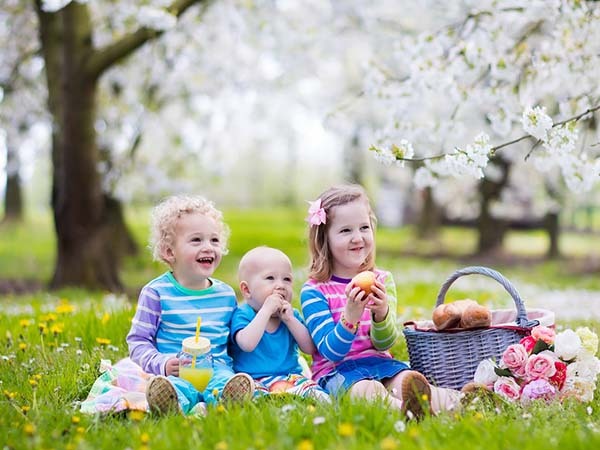 Each party time includes 30 mins for food and cake, either in our party caravan or in summer, on nice days we can put out haybale if you would prefer to be outdoors. If you would like to stay longer than the included 30 mins your are more than welcome at extra cost. Please arrange this on booking. Your are welcome to bring your own buffet food and drinks for your guests or if you don’t want the hassle our local farm shop Top Barn will provide lunch boxes. Please contact us for more details. Pretty much anything is possible at Pampered Ponies! Larger or small parties can be arranged, please contact us with your requirements and we will do our best to please! If your not looking for a party but only want to share the experience with a friend or two, we can offer one to one or small group birthday experience’s charged PP depending what you would like included in your package, so just pop us a message and we will be happy to help. There will be lots of laughter and fun! 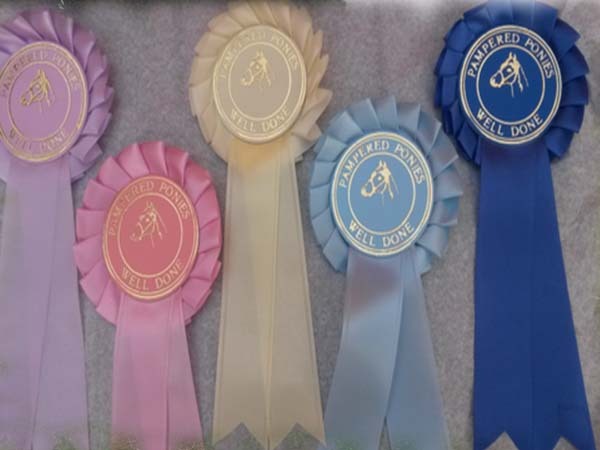 There will be lots of glitter and potentially mud, please dress your child suitably for the weather conditions and always wear enclosed footwear around our ponies! Children remain the responsibility of the parent at all times. 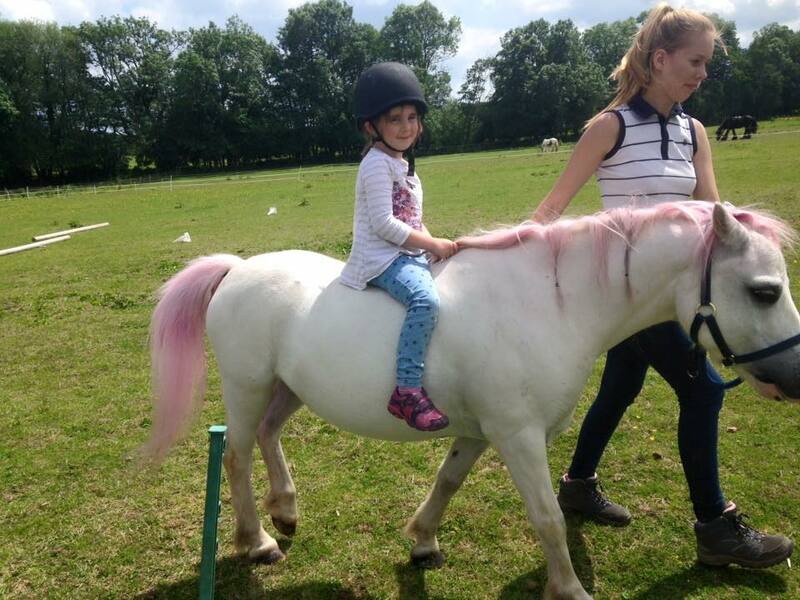 Children should be made aware that handling a horse is a risk, ponies can be unpredictable so we would ask that children co-operate with our instructions when handling and riding. Children will be led at all times. Parents / carers can walk alongside if they wish to do so. After touching our animals please wash hands or use hand sanitisers provided.